With only one week left for Fortnite’s current season to end, Epic has now released the challenges corresponding to the ninth week of season 7. 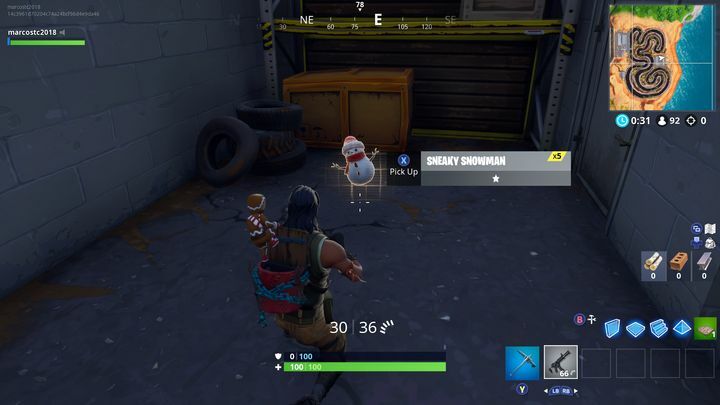 The free challenges corresponding to season 7, week 9 are the following: Use a Sneaky Snowman in different matches, Land at Retail Row and Eliminate opponents at Junk Junction or Retail Row. 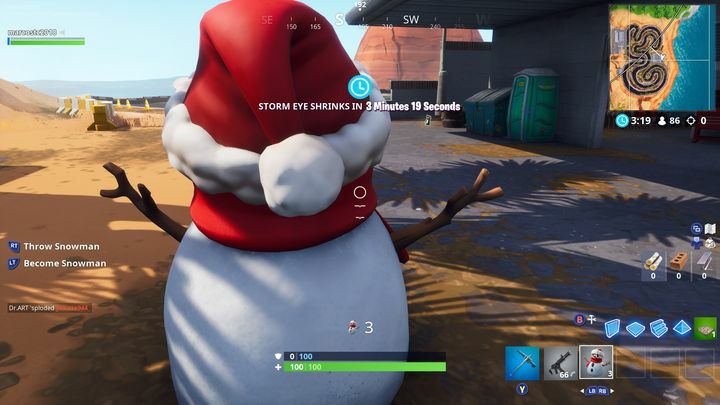 Also, as stated earlier you can turn into a Sneaky Snowman too as shown in the image below, so beware of sneaky players resorting to this tactic in the game. 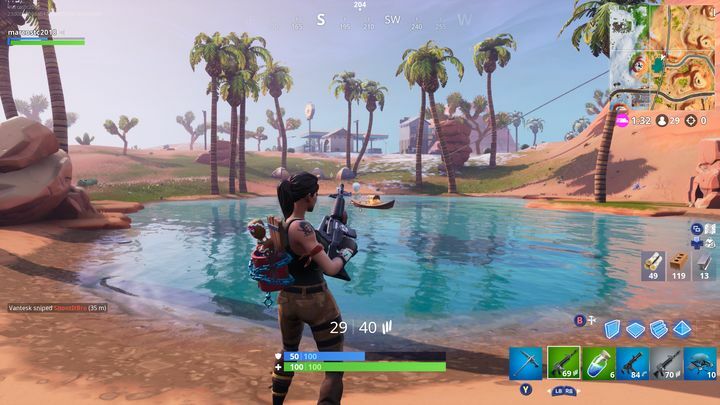 The second challenge is one of the “land at” variety as was seen earlier this season in week 5. Like week 5’s challenge, this one actually has 5 stages. After landing at Retail Row, you’ll after be required to land at Frosty Flights, after this at Haunted Hills, then at Shifty Shafts and finally at Dusty Divot. 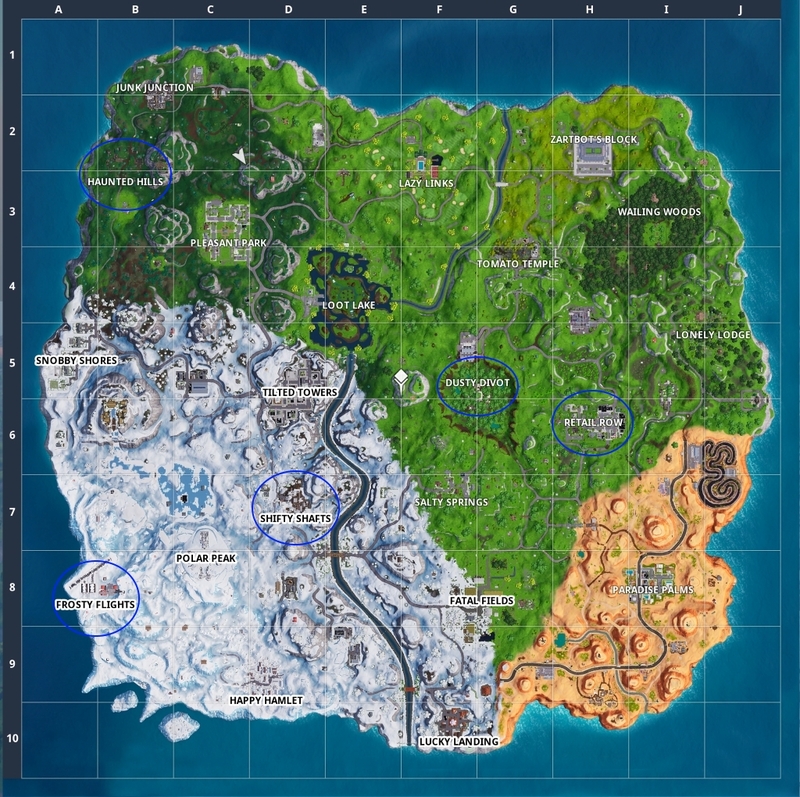 You’ve got to land at each of these named locations in different matches – to speed up the process you can simply exit the game once you’ve landed at one of these locations, although you can simply wait until you’re eliminated or you win the game if you’ve got the skill to do so. To make the landing easier, you can exit the bus as close as possible to any of these locations, gliding down or skydiving in order to complete the corresponding stage of this challenge. I’ve marked each of these locations on the map below. Either way, this new batch of challenges should keep you busy into the final week of season 7 rolls in, while it’s clear many players are now looking forward to season 8, so it would be a great thing if Epic has plenty of surprises in store for Fortnite’s upcoming season too.